Flavour dropping another studio album has to be one of those many few things about the industry that makes one trip. Let’s state the facts; Flavour is majorly a high life artiste, who only started to enjoy a relationship with the afro popular genre of music not too long ago. Now, high life on the other hand is one helluva sweet music genre enjoyed by all but not particularly celebrated by sundry because of its classification in ethnicity. 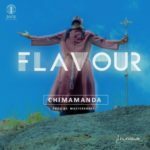 However, Flavour has succeeded in expanding frontiers, thereby pushing set limits to becoming arguably the biggest Africa-wide international act peddling his gospel of Igbo high life on global ends. 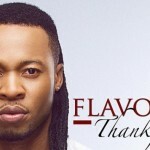 Flavour has also released to very positive, critical and commercial acclaim, four studio albums in the high life genre – you should note that the only people who succeeded in doing this, are legends like Chief Steven Osita Osadebe, Oliver De Coque and those order of iconic greats in Igbo high life music who also garnered a befitting reception abroad. So in like manner, Flavour is here, still here; kicking it, and kicking it real good – especially in an industry like ours that puts a span on the lifeline an artiste can live within his frame of fame. 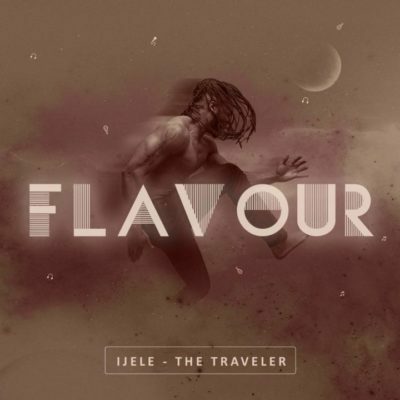 Ijele – The Traveler is the fifth in the series of Flavour’s studio LPs, and while I cannot relate the sounds or themes explored on the album with the title, I have to point out that Flavour will never default on coming out tops simply because he never negates the value of effort in his work. His sound may be basic (which is not even entirely true), his style may have become stereotype (now this part is 100 percent truth) but he’s using the expressions of both to keep his fans and listeners always reeled in and totally entertained. Now that, is pretty much the summary of his latest album. Ijele – The Traveler, is a gift of appreciation purely for the purpose of entertainment. Flavour’s relationship with dance can’t ever be extrapolated. The two measure like a simile. No matter the situation, whether he is appreciating a woman’s beauty like on the Tekno-produced ‘Catch You’, expressing emotional fondness or his sense of (be)longing like on ‘Iheneme’ with Chidinma, unashamedly tripping and lusting after as in the tracks ‘Baby Na Yoka’ and ‘Ukwu Nwata’, paying worthy tribute like on ‘Nnekata’ and ‘Chimamanda’, or showing activism on a song like ‘Oppressor’, Flavour’s formula for dance never fails to apply. For me though, I’d say ‘Jaiye’ and ‘Body Calling’ with Terry Apala, were the impressing tracks. For Flavour to effectively pull off without blemish, Awilo‘s Makossa and then again tackle trap? C’mon, that’s gotta be worth more rounds of applause than just one. However, Terry Apala’s outing on the track was quite very shortlived – we really could have done with more studio time from the Isoko born star. Shortlived also was the entire memory of the Sarkodie feature song, ‘Sake of Love’. Masterkraft had raised the hype with Finally but this one was met with some dismay. Nonetheless, ‘Loose Guard’ and ‘Ijele’ were the most effective collabos with Phyno and Zoro respectively. 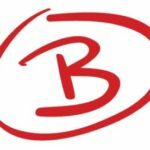 I won’t hesitate at all to recommend them for listens. On the flip side, there’s a disconnect on where exactly to draw the line with songs like ‘Virtuous Woman’, which sounds like a typical Frank Edward-esque psalm of David and ‘Most High’ both that open and close the album filled with Egyptian worldliness in-between. So yes, Flavour is to dance, just as he is to lust too – and the Ijele album is laden with a handful of that – lust, sincere lust, not even the absurd way, but rather in such that craves a hope for indulgence – a hope of lust, to lust, and understand the feeling therein. Basically, hearing Flavour on this new album as he weighs in elements from the basics that formed his musical purpose, is such a basking joy. He also brought back those Waga G and Oloye skits, reminiscent of the dialogues that transpire at local bars clearly depicting social standards and the idea of class between drunks and beauties. 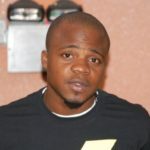 Aside sticking close with his guys, Masterkraft, Del’ B, Jay Stuntz and Selebobo to expend work on this album project, he welcomed new hands; Simi mixing a couple of his songs, then Tekno, Illkeyz and Young John producing for him, which I believe was to allow for diversity in tagging on the new school experience. The thing is Flavour has very well established himself in the music art, having sang and sold out on multiple records and performed to a variety of audiences all over. At this point, he really can’t be bothered by having to prove his worth. With his massive following, whatever music he concocts can easily pass especially now that laziness is gradually corroding the value’s worth of many celebrated acts. But not Flavour. He might have gotten complacent being just fine and comfortable doing what he loves best, how he knows best, and with the best efforts he can muster. The other good thing would be that high life has no old or new sounds unlike genre counterparts in the afro popular, R&B, soul, trap, afrobeats and even the Ghanaian Banku music made widely famous by Mr Eazi, Sarkodie and Runtown. High life has no evolution or revolution (I’d like to see somebody try the latter though). 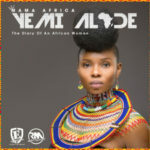 And after Flavour had veered off on an experimental process with a new order of sounds in afropop and a mesh of afro with high life that was evidenced in his previous album, Thankful, he journeys back to his cultural influence, which already was the sole and has remained the soul of his career and growth. Like usual, he slayed at it, and the best part being that it doesn’t at all seem like as if he’d be stopping any time soon.